Why not give somebody the gift of TRUTH this Christmas? 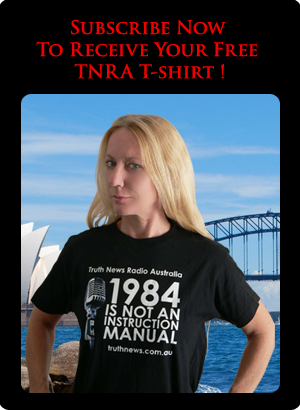 You can now purchase a TNRA Gift Subscription via our website. Your nominated recipient will receive our unique t-shirt and resource DVD + a one year free pass to all our ad-free content. You can also opt to send the gift anonymously! Would you like to help TNRA reach out to a wider audience? Do you like TNRA? Would like to help us make TNRA better, stronger and more effective? If the answer is yes, read on! There are some areas we need help with, which I have listed below. These may require some basic technical skills and knowldge of online editing environments. Youtube Uploads - it would be great if every show could be posted on our Youtube account. The account is currently not length-restricted, so there is no need to cut the files into chunks. Instead you would create Youtube time markers, which allow users to quckly get to the section they are looking for.